A great dream remains only a dream if not taken any action in order to realized it. Nowadays young people are lucky to have Erasmus+ program, which takes into consideration helping youth implementing their ideas into reality. 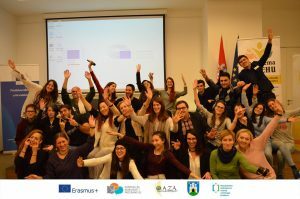 Being one out of many young people who get to feel the advantages of the Erasmus+ programme, I had lastly a considerable chance to ponder my business idea within the training course called “Socially Inspired – Entrepreneurship for You(th)”. More info available on the subpage dedicated to this project.